We haven't posted for a week because we've had medical news to absorb and a decision to make. 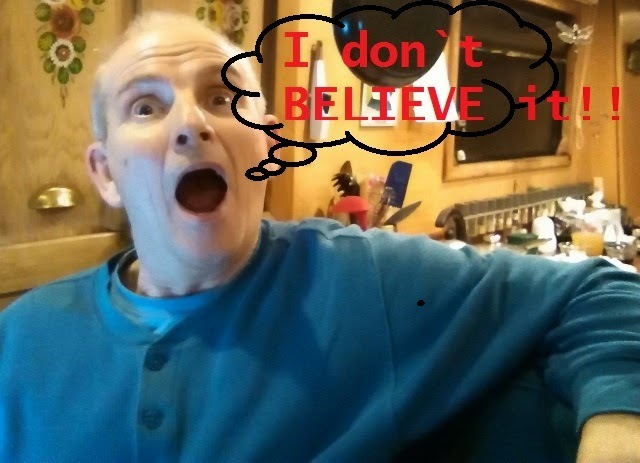 As many of you know, Les had his last three month scan and blood test on March 6th, 2015. The previous one was December 9th, 2014 and at that time everything looked great, including "a small lesion" on Les' left lung which was originally spotted in his scan of September 2013. At that time the Oncologist told us about this lesion and said it appeared to be caused by exposure to TB in Les' childhood. Apparently these are common over here in Britain amongst Les' age range. We were told by Dr. J. that it was "a lesion" and they would keep an eye on it in future scans. In all of Les' scans since then we were told the lung lesion was still there but no change was noted--until this last scan. So a Multi-disciplinary Team convened to discuss this occurrence and an appointment was made for us to meet with them last week, which we did. We were told that the lesions had not changed in size but had changed in shape. Then we were told that there are three lesions ranging in size from 7 mm, 5 mm, and 4 mm with an overall growth of 1 mm. I said this was news to us; we had been told initially that there was one lesion on Les' lung--not three. The Professor heading this team looked at the notes and replied, "No, there was no change in the amount of lesions, just the size," so I am pissed that someone, somewhere in all of this either lied to us about the amount of lesions, or instigated the culture of partial disclosure so common in cancer treatment and decided to be vague and merely say "A lesion..."
Then we were told that it is very common for colorectal cancer to metastasize from the liver to the lungs. News to us of course. Again, partial disclosure in operation. I asked why it is common and was told, "The liver is the first filter of the blood, and all blood travels from the intestines and colon to the liver to be cleaned. The second blood filter is the lungs and so errant cancer cells from the liver tend to travel to the lungs and settle there. From there the blood moves to the heart and is dispersed throughout the body." I asked, “The heart shunts this blood to the brain next does it not?" The Professor replied, “Yes." We were told that the lesions on Les' lungs were initially cavitated which means hollow--typical of TB induced lesions. Now they are filling up with mass which suggests, given Les' medical history, that it is cancerous tumor mass. That said we were also told that they did not know for sure that this was actually the case. It could be benign mass--there is no way to know without a surgical biopsy. I asked about Les' CEA blood tests. A carcinoembryonic antigen (CEA) test is a blood test used to help diagnose and manage certain types of cancers, especially cancer of the colon. The test measures the amount of CEA present in the blood. If you already have cancer, this test helps a doctor determine if the treatment for the cancer is working. An antigen is a harmful substance that is released by cancerous tumors. If you are receiving treatment or have had surgery for a previously diagnosed cancer, a higher amount of CEA in your body suggests that the cancer has not gone away. It may also mean that cancer has spread to other parts of the body. A normal level of CEA is less than or equal to 3 nanograms per milliliter (ng/mL). Most healthy people have levels below this amount. If the cancerous tissue has been successfully removed, CEA levels should return to this normal amount after about six weeks. Elevated levels of CEA (higher than 3 ng/mL) are considered abnormal. The levels are higher than 3 ng/mL in many types of cancers, but that in itself does not necessarily mean you have cancer. Higher levels can be found in non-cancerous disorders such as infections, cirrhosis of the liver, smoking, and inflammatory bowel disease. Very high levels of CEA (higher than 20 ng/mL) in patients who also have symptoms of cancer strongly suggest that cancer has not been removed successfully even after treatment. It may also suggest that the cancer has metastasized (spread to other parts of the body). Les' results were 2.2ng/mL which is in the normal range and the team was impressed by Les' overall very good general health--something seldom often seen in cancer patients who have been through over a year of diagnosis and treatment. 1. Do nothing and the RFH (Royal Free Hospital) team would continue to monitor Les' health every 3 months. 3. 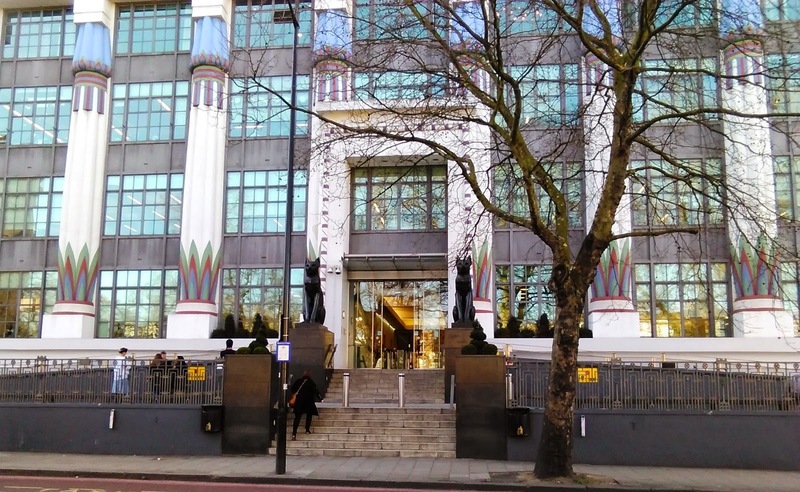 Refer Les to Brompton Hospital (Chelsea, London) Thoracic Center for an exam by a Thoracic Specialist, who could recommend lung surgery or who could just as likely tell Les he is not a candidate for lung surgery at this time as the lesions are too small. 4. RFA--Radio Frequency Ablation--a procedure which requires Les be put under General Anesthesia while a Radiologist inserts Needle into his lungs, guided by Ultra sound or PET scan. High frequency Radio waves travel through the needle and cauterize or burn the lesions and some surrounding lung tissue away. Les has determined that the first two options are of no interest to him. Pursual of option three will be very time consuming, taking anywhere from 3-6 months for everything to fall into place due to the mountain of paperwork, general NHS bureaucracy, changing hospitals and still after all of that we could be told Les is not a candidate for surgery. Les has chosen option four. We don't know yet all the side effects and risks associated with RFA with the following exceptions: lung collapse can occur during or following the procedure; lung infection can result; breathing to some degree may be impaired due to permanent lung damage caused by ablation. (The same is also true for lung surgery which would remove a fair amount of his left lung); some cancer cells may still escape and continue to colonize Les' body. As we have already seen, surgery does not guarantee this will not occur and neither does Chemotherapy or radiation. In fact we were told by Oncologist Dr. J in September of 2013 that if Les agreed to the short course of five days or radiotherapy (which he did) then the treatment would "guarantee metastases would not occur." Basically with cancer all bets are off and there are no guarantees no matter which treatment route one chooses. RFA is done under general anesthetic, and the patient stays overnight in hospital but not Intensive care. Sometimes 48 hours in hospital is necessary. We were told the pre-op and treatment should all be over within four weeks. The recovery time is shorter than for general surgery and less damage is done to the lung overall. Les' research on the 'Net indicates that RFA has a success rate of up to 90% when lesions are found early. Les here: I let Jaq explain the medical stuff as she wraps her writer's mind around it and explains it better than me. 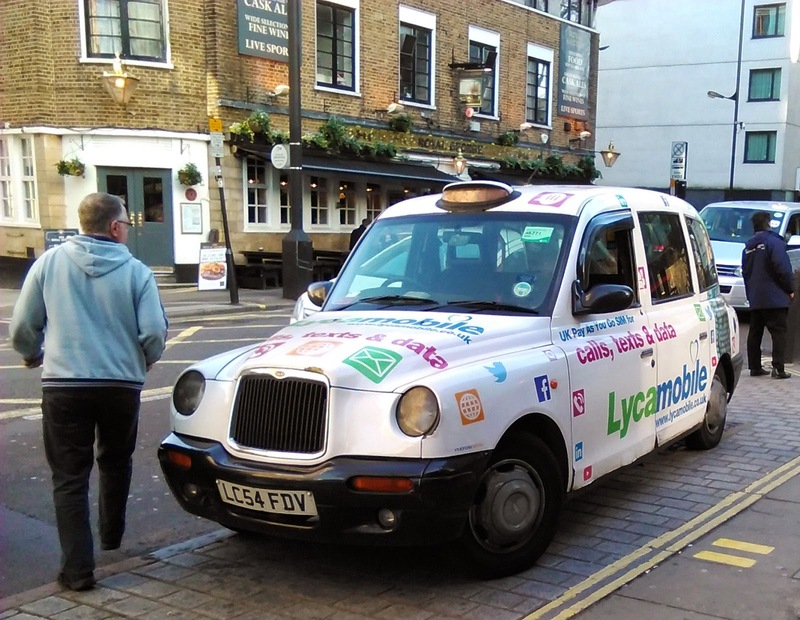 Our cruising has now slowed to stay within the requirements of our license while also staying near towns and cities with railway stations for travel back to London for this treatment. I am planning a new roof box for wood which will move our solar panels on top of the wood boxes and free up needed roof space. We bought our boat paint and plan to do the job ourselves over the coming summer. I am not giving up and I don't feel defeated. We take each day as it comes, and make the most of every chance to laugh, have fun, and enjoy each other. I fully intend to be around to fill the wood box and see the boat looking clean and tidy with it`s new coat of paint. Mr. C. is very persistent but I am not about to roll over and surrender; it`s not what boaters do. 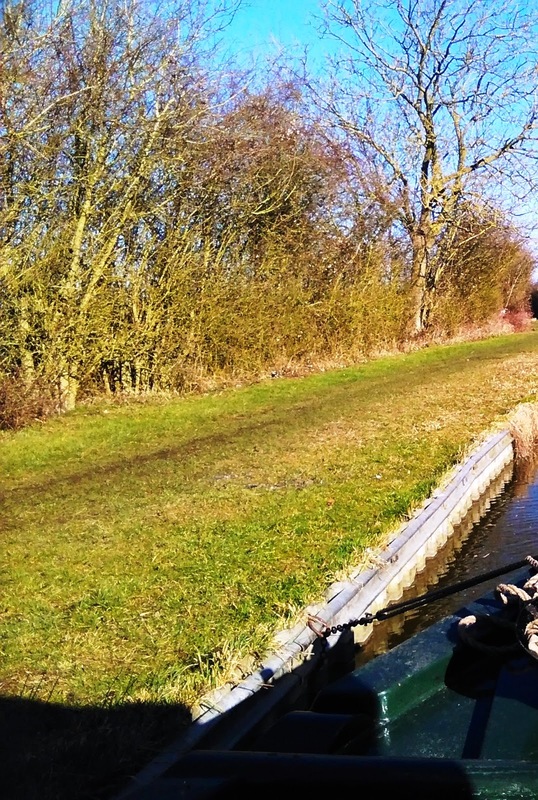 Our next blog will be back to boating, canals, and this life we love. We are not going to let Mr. C take over the blog, either. How often does this happen? Sitting having a read and a Kingfisher swoops across the Bow doors and settles on the mooring rope. Not only that but as you see I managed to get up for the camera and stand by the door and shoot several pics. Natures version of CCTV cameras. Proper working farm. Always a nice country smell and always plenty of junk around. Not quite sure why the farmer would have an old Tug in his yard. Here we go with some bike pics for our friend Bryce over in Canada. Something that might take your mind off those freezing temperatures. 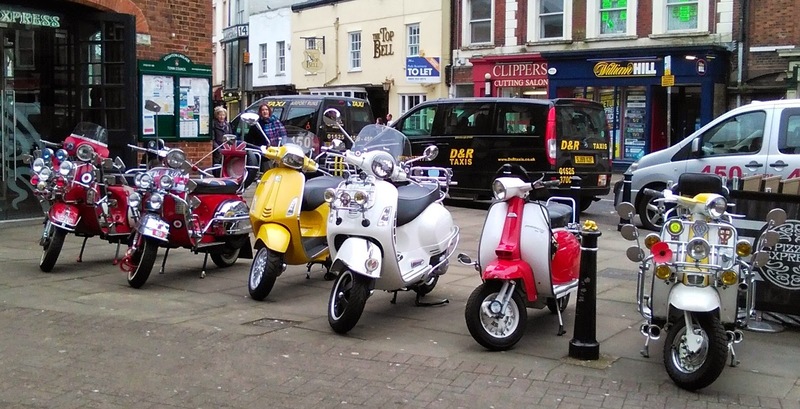 Bikes in town, the two on the right are old Lambrettas dating back to the 60`s. Dan McCoy/NARA New York City 1973. Wishes he had a Harley. I have seen this before but it was always covered up. That is not a Lambretta engine. Yes Les is a quite a Daredevil!! He crossed an ocean for love, imported a foreign wife, and has fought a successful battle against cancer. Here is to many, many more birthdays. Time to move on from the Cheddington area. Not sure exactly when this decision was made but I can say with certainty it was one of the seven days we experience each week. That was at one time just a dream, having no concern of the passage of time, but now it`s a reality that to us both is precious. Soon after casting off we pass the Dunstable and District Boat Club with it`s wet dock. The slipway is in use. The club has moorings for about 45 boats. I have put Nb Valerie`s nose into what was the entrance to the single lock that accompanied all the double locks along this stretch. The single lock entrance is clearer in this shot. I always like cruising this section of the Grand Union cutting through the Chilterns. The Chiltern hills stretch for 46 miles covering 322 square miles within Oxfordshire, Hertfordshire, Buckinghamshire and Hertfordshire. The highest point (870 feet) is not to far from here to the west at Wendover. These hills boaters, are the reason for the 70 odd lock uphill cruise from the River Thames so far. Not to many of these mile posts left. This one at Ivinghoe states 51 miles to Braunston. Another Chiltern view as the clouds tell us to look for a mooring soon. This is far enough today the weather looks to be changing and the clouds are closing in. So for perhaps a couple of days or more this will be home until the urge to move kicks in. Turning a London needle or two into a bit of fun. I took a train on Friday into London for my 3 monthly CT scan, results hopefully will come via phone next week. Anyway having a bit of spare time, and the need to take my mind off having had two needles put in me, a few things caught my eye and I could feel a blog post rising up inside me. 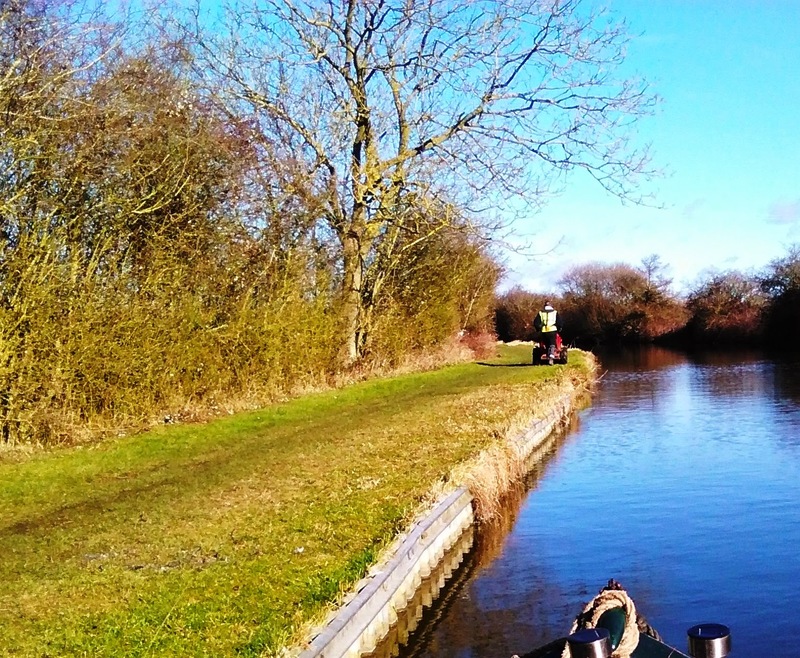 There is a boating connection so all is not lost for those craving a canal fix. Look at these, buses? they look....well delicate and plastic like. What`s the one on the right doing on the road? it needs a coat of Red paint. The Red bus like the now almost extinct Red telephone box is famous all over the world. Not how I remember buses. Now these are what I not only remember but also drove for a couple of years. 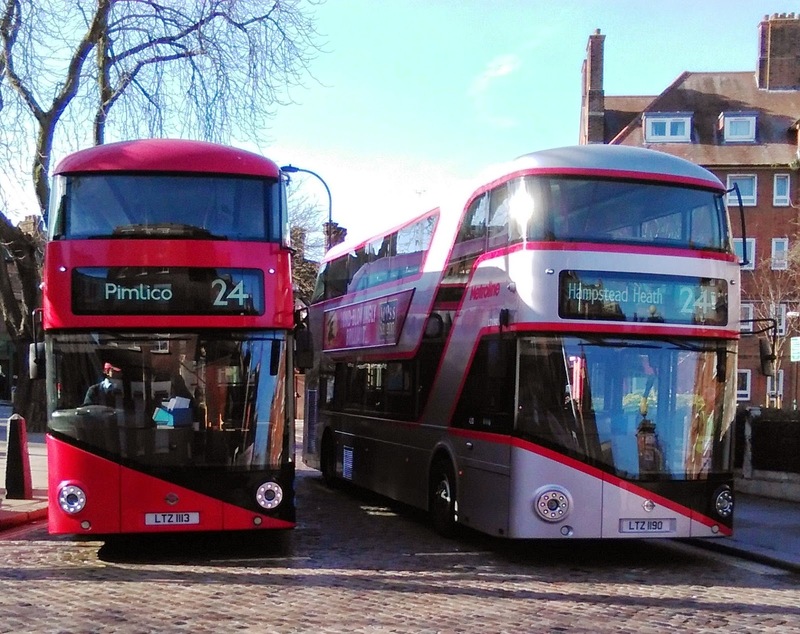 The one on the left is a Routemaster introduced in 1959/60. It has power steering unlike the RT type on the right seen in London 1939-1979. Bus driver training in my day was like this and yes I actually had to pass this part of the exam to get a licence. The idea was not to allow the back to swing completely around but bring it under control and finish facing the building. Notice the crowd in front of the building; in the video they are enthusiasts but back in the day it would have been trainee drivers and conductors all watching, hoping for something to go wrong. One guy came through the skid and got the bus under control but was a bit short on the braking. He finished a few inches from the building and you never saw a crowd disperse so fast. I was twenty one and looked fifteen. It was a wonder any one boarded my bus. Nowadays I`m sixty six and look it. 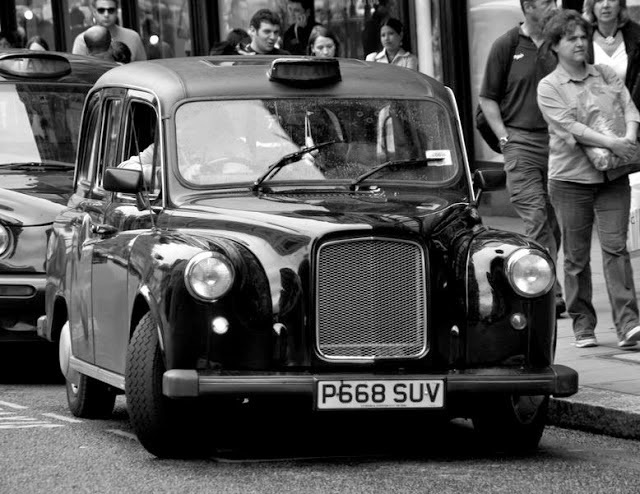 Another worldwide icon is London`s Black cab and they for sure were never covered in advertisements when I was younger. The good old Black cab driver a mind of information. I was back in the early 70`s loading plate glass onto an open back truck in Regents street. A bus went by and the truck rocked and a 5 foot square sheet toppled and tried to take my thumb off. Clamping a piece of rag over the gushing wound a passing cabbie stopped next to the truck called and took me to the nearest hospital and would not charge me. Muttering my thanks in a shocked voice I left that decent man cleaning the blood off his cab floor. I still have the scar today. With my next picture tour around the capital I wish to report a theft. As you can see in the now and then pictures above something is missing. Look to the left. That arch was 70 feet tall, the fluted columns were 8 feet in diameter and being a London boy I can tell you it was there in 1960. A lot of the stone was found being used as a wall in the garden of one of the demolition gang. 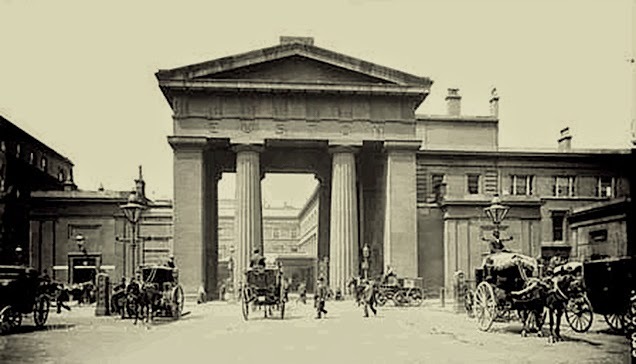 One hundred and twenty four years it stood there thirty years before St Pancras station was built. St Pancras was tuned into the Eurostar terminus within the existing building so why could they not have kept the arch. 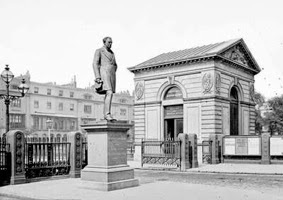 Where was the John Betjemen that saved St Pancras when this theft took place. Yes I know he tried. collection buildings. Nowadays you won`t find your parcels there but you can get a beer. Notice the names of places served by the railway carved into the Quoins. 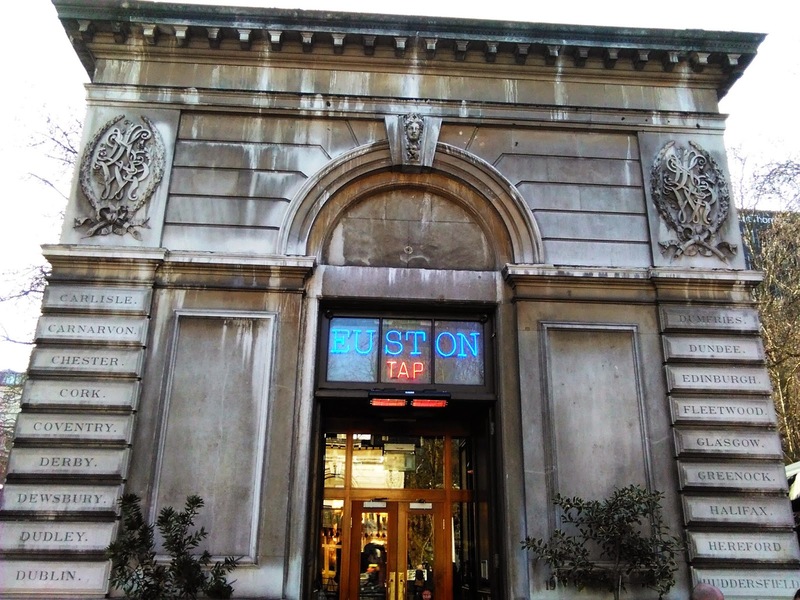 The crest of the London and North Western Railway is carved above the Quoins. 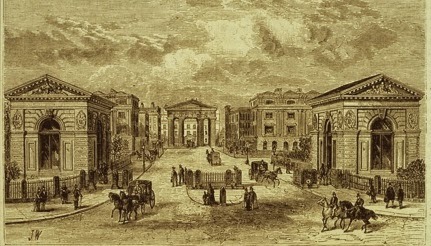 It could look like this (http://www.joerobson.co.uk/sai/home.html) with the present day modern station to the rear. Just like along our canals to much of our history is just swept aside. 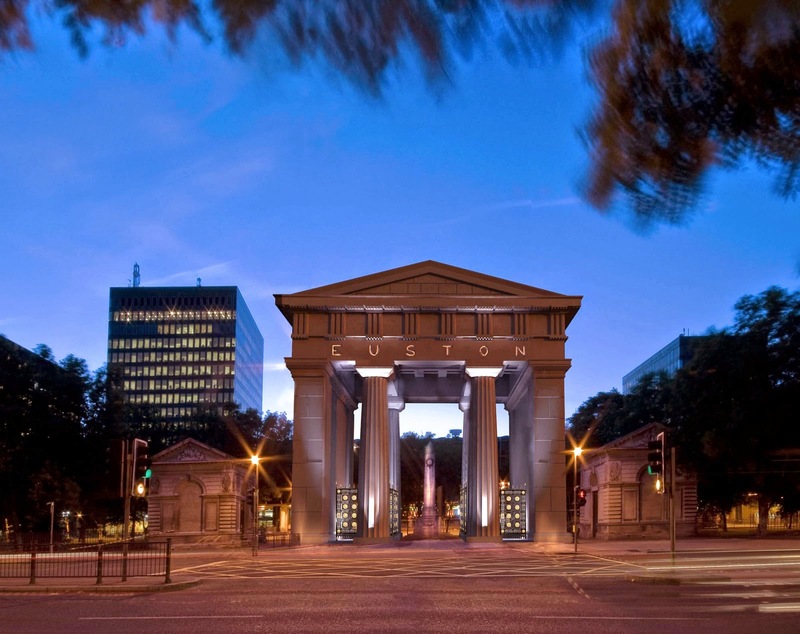 Network rail intend a £1 billion modernisation of Euston and the Euston Arch trust would like to see the arch included. Just as a balance in case you think the arch should not be built. Personally I say bring it back, it just needs a clean. 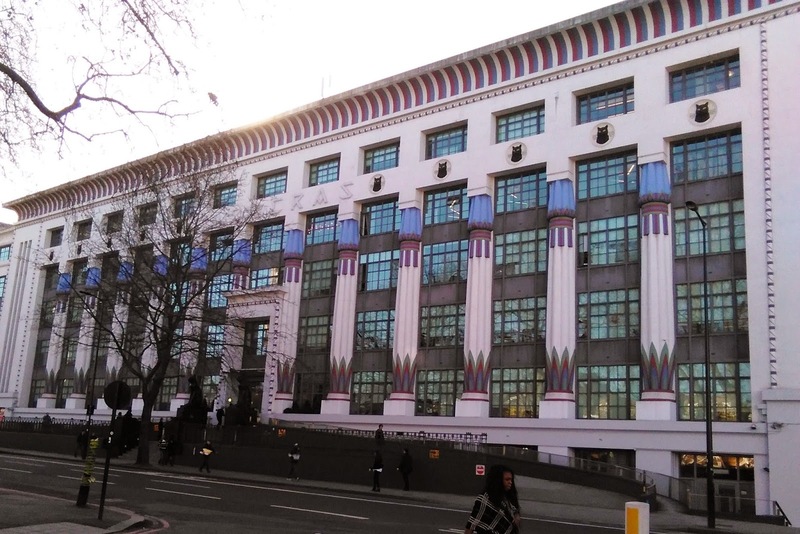 Last picture in the camera on this trip is Greater London House a fine example of an Art Deco building in Camden It was nice to see it wasn`t on the missing list. It started life in the early 1920`s as a cigarette factory owned by Carreras - Craven A Black Cat brand of cigarettes. In 1959 Carreras merged with Rothmans and the building was converted into offices. More about the building here. also an interesting story about the Black Cat brand. A 1928 view from the Britain from above site. Spot the difference, my quiz for boat licence payers everywhere. To make it easy all the differences will be in the grass section closest to the water. If you say no difference then my next question is what the hell are we paying the fella below for. I heard the grass cutter coming along and just snapped the pictures. When the grass has stopped growing this is what they should be doing. Hedge cutting two days earlier as we cruised along. For U.S. readers not aware of Victor Meldrew. 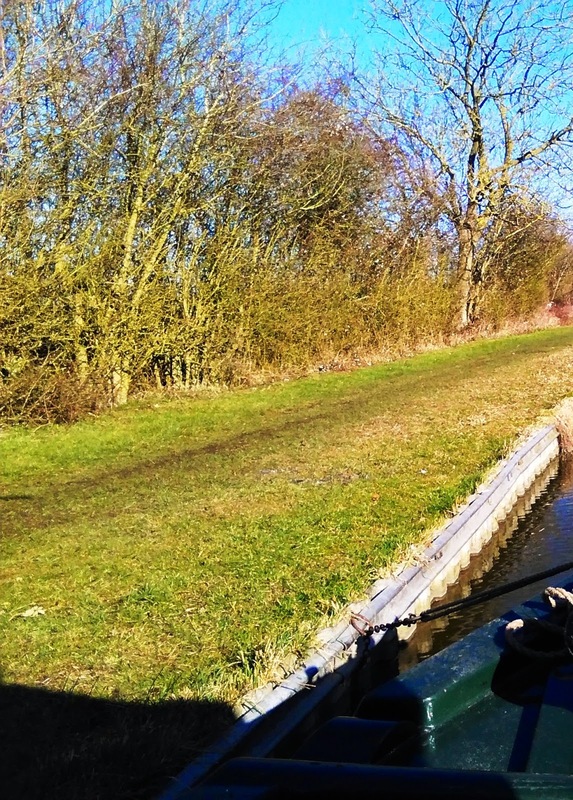 After the heavy rain, hail stones, and high winds we decided to stay moored in the Pitstone area even though we had covered just two locks and as many miles since Marsworth. 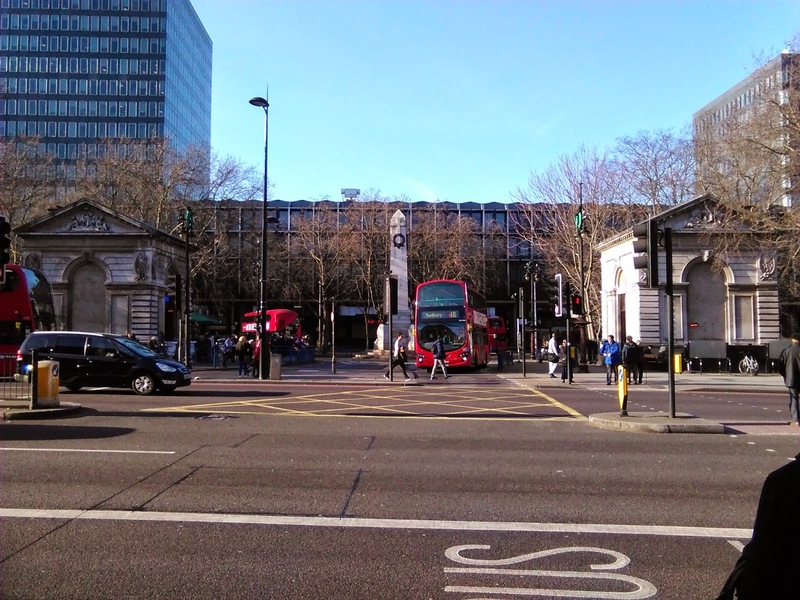 There was nothing much to do with the weather as it was, so Jaq posted a blog and I put together my "all change at the junction post". I needed an old picture of Marsworth Wharf for that post and whilst searching I came across Cheddington Airfield. It appeared we were moored just 1400 yards from the old runway. As I stand on the towpath taking this picture it`s hard to imagine working boats passing along this stretch in the 1940`s with United States American Armed Forces (USAAF) B24`s (read on) coming and going across the fields to and from missions in Europe. So as you read in the last post, the planning application for the houses at Marsworth Wharf were submitted in Nov. 2009. All that was going to happen here was some people would make some money out of folks' paying fortunes for a few bricks in the shape of a home. It dragged on for six years so inflation affected both parties. More important than this and also in Nov. 2009 was the planning of a memorial to remember and commemorate the crew of a USAAF B24 that crashed here 65 years previously in Nov. 1944. The airfield close to Marsworth and Long Marston villages opened in 1942 and was named Cheddington as this was the nearest rail station--a fact that often dictated the naming of an airfield. It was used initially by the Royal Air Force (RAF) for bomber training with both Vickers Wellingtons' and Avro Ansons' being based here. Later that same year it was handed over to the USAAF who then soon after transferred to Norfolk. 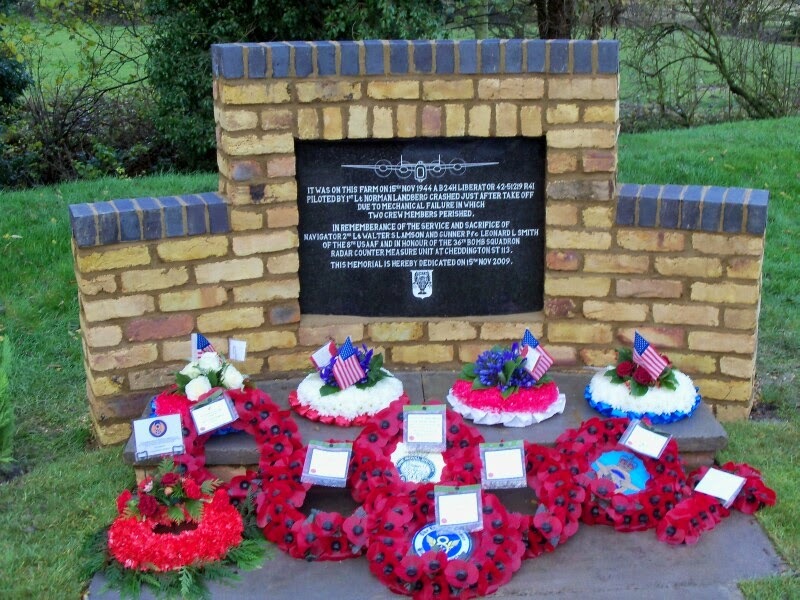 In 1943 once again the RAF handed the airfield back to the USAAF who returned to Cheddington. There is a lot of reading in the links I will provide so I will be brief. 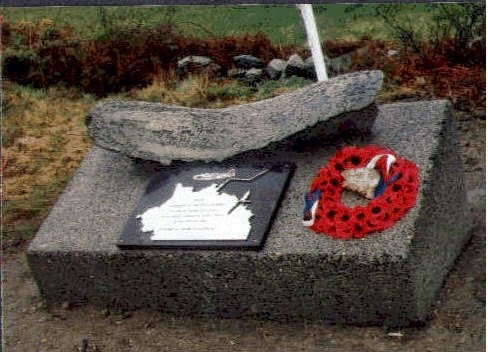 The first memorial is for the crash I refer to above. Another link HERE. The main information text here is under NOV 2009 and MAY 2011 but there are other references throughout the pages. Another link HERE for the Welsh disaster. Light planes can still land on a grass strip at Cheddington; the concrete runway has long since been torn up. I can see a windsock blowing in the wind to the left side of the site. Regardless of the connection Nb Valerie has with the U.S. I felt this was worthy of a blog post. So many brave people gave a lot, some sacrificed everything, for the freedom we have today. Those that were based here are a good example. 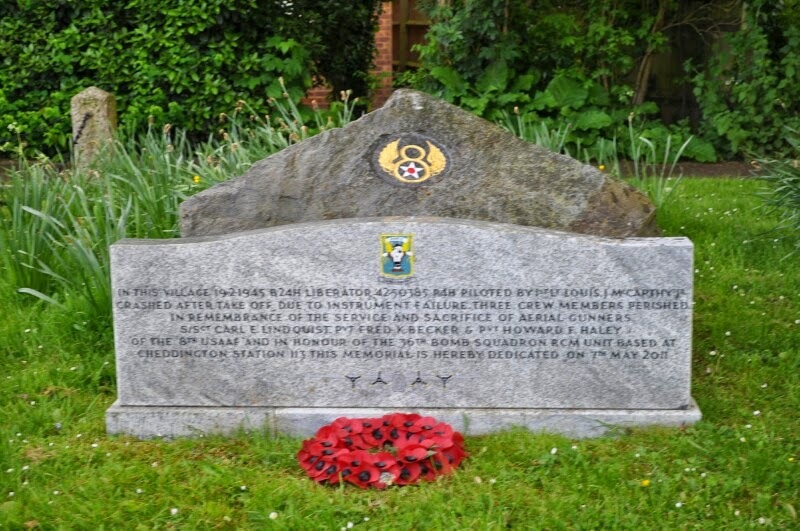 I remember a memorial to Polish Airmen up on the Leeds and Liverpool canal and the National Memorial Arboretum which is very close to the Trent and Mersey at Alrewas. The NMA covers 150 acres, with 50,000 trees and 300 dedicated memorials to the Armed Forces and civil services of this country. The link below is a 90 second look around the NMA. There is a longer video on the main site. I highly recommend a visit. As we travel the canals I will never stop being amazed at the history of the places we pass through.